Every collar needs a leather lead to go with it! 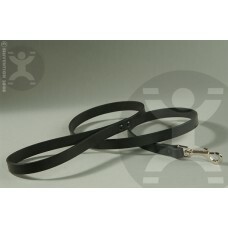 The lead shown is 3/4" wide and 48" long classy smooth black leather lead looks and feels great. Nickel plated swivel snap and capped rivets. 12", 18", 24" 36", 48"